David Suvalle Plumbing and Heating Company has been in business since 1978. We provide a full suite of plumbing services including water heaters, new bathrooms, kitchens, plumbing repairs, and new construction. Our heating services include new boilers, heat for additions, and radiant heat, as well as gas piping. We are committed to providing high-quality craftsmanship, and complete and professional service. 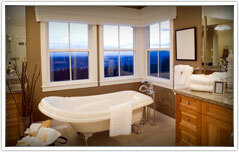 Our team is comprised of licensed professionals who adhere to all state plumbing and construction codes. For reliable, professional plumbing, heating, and gas fitting service, call today! © David Suvalle Plumbing & Heating. All Rights Reserved.